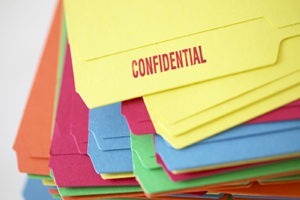 A trade secret consists of confidential business information which could provide a competitive edge over rivals or competitors of your business. Examples of trade secrets are dependent on the industry you are in and can include a range of manufactured, commercial or industrial strategies and processes. The unapproved use of such information by anyone other than the holder of a trade secret is seen as unlawful and in violation of a trade secret agreement. Under legal proceedings such cases are often made on the grounds of unfair competition or case law on the protection of confidential information. Trade secrets cover a wide spectrum of the business which includes sales methods, distribution methods, consumer profiles, advertising strategies, lists of suppliers and clients, and manufacturing processes. Examples of where trade secrets can be subject to unlawful practices include industrial or commercial espionage, breach of contract and breach of confidence. Trade secrets can be enforced without any registration and can protect a business secret for an unlimited period. For this reason many companies and businesses find trade secrets attractive. A standard guideline is outlined in the TRIPS agreement (Trade-Related Aspects of Intellectual Property Rights). The rightful owner of the business must have a confidentiality agreement. Trade secrets do not answer to Government authorities. Throughout the years, Bloomsbury Law has built an international network consisting of the world’s best intellectual property experts all over the world, in various specialisms including trade secrets. Our team can advise on international intellectual property implications and can inform you of any obstacles when required. If you would like to know more about trade secrets please get in contact with our intellectual property solicitors and we will be able to process your query efficiently and effectively.